Smoking top-shelf marijuana buds produced by your very own cannabis plants is always better and more fulfilling than simply buying smoke-ready ones from other growers. However, the most difficult part of growing marijuana most of the time is buying high-quality seeds from the best seed banks in a very secure manner. If you personally know people who are in the trade, good for you! But very few are that lucky. It can be challenging to find a reputable and trustworthy cannabis seed bank nowadays. As a result, ordering marijuana seeds online is scary. If you do end up getting bad seeds or, god forbid, no seeds at all after the payment has been, you can’t really complain. This is why we have decided to put this review of the best seed banks and marijuana seeds buying guide together. We want you to skip that horrible trial-and-error phase new growers usually have to go through when ordering their cannabis seeds the first few times. The marijuana seed banks on our list are different in terms of weed seeds for sale, payment methods, shipping options, special offers, and level of customer service but they are all very reliable seed banks that understand quality and safety of their customers. Canada-based Crop King Seeds may not have as many strains as other online seed banks, but we gave them the highest ranking because they are by far the most reliable brand we have tried ordering from. They also breed their own cannabis strains. 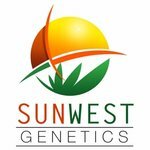 Sun West Genetics is another Canada-based company. They have been in the marijuana seed business for quite some time now and have a made a name in the industry. They are sold in stores across Canada. They also created an innovation in the seed business by creating STT (Seed Tracker Technology). Seedsman is a UK-based company which carries a huge array of options of cannabis strains from multiple breeders and brands. They have been in the cannabis business for a long time. What really sets them apart, though, is that part of their income goes toward letting more people enjoy marijuana around the world. This online marijuana seed seller has been around since 2005, and they are well-known especially in Canada, their country of origin. What is interesting about these guys is that they do not merely sell. They are breeders too. They carry a lot of interesting strains, such as Purple Kush, Candy Kane, Dark Angel, White Cookies, and Green Crack. They also have medical marijuana, feminized, and auto-feminized seeds. If you are in the mood for surprises, you can order what they call the feminized seeds mix-pack or their autoflower feminized seeds mix-pack. These are both grab bags that contain different seeds. You never know what is inside, but they guarantee high-quality seeds only. They also have a nice customer service team. They are easy to reach and even have an online chat support option available. They are relatively a lot quicker and more accommodating than other sellers. Furthermore, they offer discounts from time to time, especially if you are one of the subscribers to their newsletter. They ship worldwide. When shipping to Canadian addresses, they use their own packaging. When shipping elsewhere, they place their seeds in random, nondescript items, such as flashlights, cards, pens, and others. You can have your seeds delivered via regular shipping or express registered with tracking (no signature required and even comes with a bonus free grinder!). They charge Canadian orders in Canadian dollars and charge everyone else in US dollars. You can pay using a credit card, bitcoin, and Interac E-Transfers (Canada only). They are the first marijuana seed bank that uses STT (Seed Tracker Technology) where each seed pack comes with a barcode or tracker. This enables their customer to view the history of the seeds, germination rate and where they are coming from. They are based in Canada and is sold across multiple stores nationwide. We love the fact that they are based in Canada as mail order marijuana seeds always get through to any part of the world for as long as they are coming from Canada. All nations trust Canada’s mail, unlike the mail coming from the Netherlands which is known for having a lot of marijuana seed companies shipping seeds to the USA and other parts of the world. Multiple Payment Methods like Paypal, Credit Card, Cash, and Many more. You will come across Seedsman a lot when searching for online marijuana seed banks. This is no surprise because they have been around since 2003 and have built an impressive client base. One of the things that really set them apart is that they give some of their profit to entities that fight for marijuana. Unlike other sellers, Seedsman mainly does not breed their own strains and are supplied by outside breeders, the most popular of whom are Sacred Seeds and Sam the Skunkman. Because of this, they are able to offer one of the largest selections of strains in the world. They have regular seeds, as well as feminized, medical, auto-flowering, and high-THC seeds. One more thing you may like about them is that they have good customer service, and they can be contacted mainly through phone and email. Their website interface is also simple and easy to navigate. You can easily find what you want without too many distractions, unlike in many other marijuana seed bank websites, which are usually riddled with so many ads. Seedsman ships worldwide and accepts payments through bank transfer, credit card, bitcoin, prepaid Visa cards, cash, postal orders, debit cards, checks, Sofort, and iDeal. Also known as simply ILGM, this seed bank was founded by a Robert Bergman from Amsterdam, who has been breeding cannabis for more than 20 years now. If you look at the company’s website, you will notice that selling is not the only goal for them. They also have a blog and a lot of guides published on the site. These articles cover the basics of growing, techniques, and other things related to marijuana. They even offer a book called Marijuana Grow Bible as a gift for their clients. They do offer a wide range of products. Aside from seeds, they sell CBD oil, nutrients, grow sets, mix packs, and others. The site is also easy to navigate. It lets you filter by type (feminized, regular, autoflowering), use (cash crop, medical, beginner), and other parameters (yield quantity, THC level, flowering time, climate, height, and plant type). Unfortunately, ILGM does not ship worldwide. Also, depending on where you want your seeds shipped, the company may not be able to guarantee delivery or offer free shipping as they do for other locations. Right now, they do not ship to Brazil, Iran, Israel, Japan, Mexico, and Russia. The good thing, though, is that if you do not receive your order, they are willing to send free seeds. That is if you were promised guaranteed delivery, to begin with. Seeds are packaged in padded envelopes that do not say anything about marijuana anywhere. Inside the envelope, the seeds themselves are usually inside another item. If by any chance, your order gets intercepted by customs, the company will send you a new package, this time with a different sender address and in different packaging. They accept payments via credit card, cash, bitcoin, and bank transfer. Marijuana has been around for a long time, but it is rapidly becoming more popular day by day. We can’t blame anyone for that. The stuff is fantastic, especially if you happen to chance upon a really good strain and if you are a good grower. This popularity is the same reason that online seed banks are multiplying. There are numerous companies like this now, and it can be hard to choose who to trust when you do not know what to look for, to begin with. To help you out, here are a few things you have to consider when looking for the best online seed bank. Lucky for you, we are now in the internet age, and finding out what other growers think of a certain seed bank is now just a few clicks away. As is the case with nearly everything else in e-commerce, company name and client satisfaction are very important in this industry. Find out as much as you can about a particular online cannabis seed bank. Read through as many reviews as possible so that you can gauge what customers really think and what their experiences were like with that company. One more thing that you can consider is how long a company has been operating. The longer they have been around, the better. Be very careful if you happen to chance upon a new seller and feel compelled to buy from them for any reason. This industry is not entirely free of fly-by-night companies. One of the pluses of ordering marijuana seeds online is that you have many payment options available. Of course, different seed banks will have different methods available, but this route is generally better than if you are dealing with a physical store. This is because you get to choose the level of security you are comfortable with. The most commonly accepted payment channels are credit cards, bank transfers, bitcoin, and cash. However, there are online seed banks that accept international money orders, wires, checks, debit cards, prepaid cards, and card payments over the phone. It is important to find out, first and foremost, if the website you are looking at ships to your location, to begin with. Although many renowned seed banks do offer worldwide shipping, there are some that do not have that option for some reason. Also, find out how the items are shipped. Do they ship in discreet packaging? Do they come in crush-proof containers? Are the seeds labeled or stuffed inside something else? These things matter because there is always a possibility for your order to be intercepted, intentionally or not, which is the case with all and any order, really. Moreover, find out what happens if your item gets lost in the mail. Some seed banks will take responsibility for that, but some will not. This is usually declared on their websites. Be on the lookout for fees. Some sites offer free shipping and some charge different fees to local and international shipping. Sometimes, they can charge a fee only for items that are addressed to specific countries (mostly due to local customs laws of the recipient’s country). Pay attention to shipping timeframes as well. Many seed banks offer standard shipping and express registered shipping without a signature. Cannabis strains come in a wide variety. They all have different characteristics that target different kinds of individuals. Look at the rosters or product lists of the companies you are considering buying from, and see what strains they have available. Are you after psychedelic high-THC cannabis strains? Are you looking specifically for medical strains? Do you want autoflowering ones? Do you want regular or feminized seeds? There are many questions to ask before clicking that cart of yours and adding stuff to it. To give you some idea, there are strains that are usually used for pain relief. These include Godberry, Chemdawg, Northern Lights, and the popular White Widow. One common characteristic of these strains is that they are high-THC and high-CBD at the same time. Studies have found such compositions to be beneficial for individuals who are experiencing body pain. If you are looking for an alternative to sleeping pills, you may want to take a look at high-CBN strains. These include Bubba Kush, BC God Bud, White Rhino, and Granddaddy Purple. If you got a long day ahead of you and are looking for an energy booster, try looking for such strains as Casey Jones, Lemon Skunk, Golden Goat, and Sour Diesel. These are generally high-THC Sativas. Finally, if you have anxiety problems, consider shopping around for low-THC strains. Examples of these are Juliet, Stardawg, and White Fire Alien. Or if you want a huge plant, then go with Big Bud or any other cannabis strain that will grow into huge plants. Why Buy Marijuana Seeds and Grow your Own Cannabis Plants? If you are eager to grow your own marijuana plants and if you are willing to commit your time, money and efforts growing weed then you will achieve a big change in your life if you follow our recommendations of the top marijuana seed banks where you can buy marijuana seeds from. Aside from that, we also offer some growing marijuana tips and tricks to help you along the way. We can also recommend the Growing Elite Marijuana ebook as your complete guide if you don’t want to come back again and again to our website. Invest your money and ditch the dealer. Become your own marijuana supplier. If you are not willing to take the risk and spend some money on this life-changing decision then go elsewhere and buy your buds from your local supplier or people that you don’t trust. Spend a lot of money for them and for their buds with quality that you are not sure of. Why grow your own marijuana plants? If you have been buying your marijuana buds from your local dispensaries, dealers or people that you don’t trust, then you should know how costly it is to buy from them and hassle when they ran out of supply to buy. Growing marijuana in the comforts of your home will give you a full control of your own marijuana supply. You will never run out of weed supply and you will never have to spend even a single cent for quality that you are not sure of. Why grow marijuana from seeds? Growing marijuana from clones and cuttings are just fine but starting from seeds will assure you of healthier plants that can produce bigger yields. Make sure to check with your local laws before ordering from these marijuana seed banks. While many of their customers got their order with no problem, it doesn’t mean that you will get yours. Although rare, some marijuana seed orders are getting seized in the borders. Don’t worry, nobody cares about a few seeds in the mail and they look the same as the regular seeds. There are no mention of seeds or the name of the company anywhere in the mail so you are good. They seize seeds because it is not allowed in any country to import agricultural products without the permission of the authorities. They will go directly to the trash. Most countries around the world like the USA, Australia, New Zealand, etc don’t have access to high-quality marijuana seeds because of their laws. The best place to find high-quality marijuana seeds for sale is the internet. No countries around the world on the internet so you can always buy anything online. Aside from that, these seed banks have a wide array of options for strains which are very high quality. If you want to grow a Cannabis Cup Winner then order online and have it shipped right to your doorsteps discreetly. Make sure that the online marijuana seed company offers discreet shipping to your country. The best cannabis seed bank offers discreet shipping, high-quality customer service and prices that are reasonable. 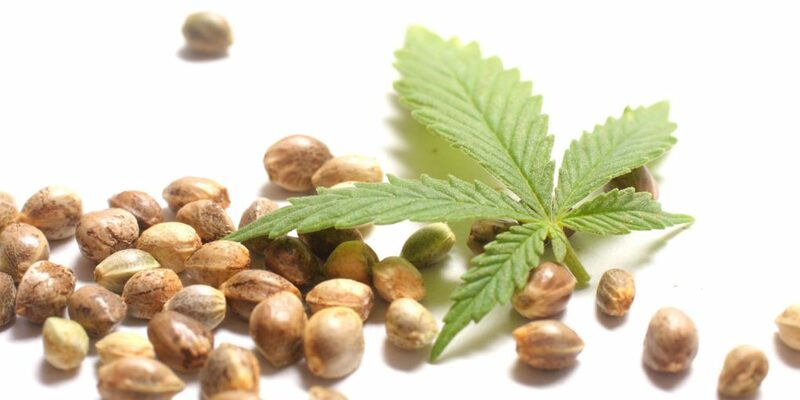 How to Tell if a Marijuana Seed bank is Legit? The list above of our top 12 recommended seed banks are known to be legit. We did the hard work for you. We spent hours of research and testing. There are a lot of seed banks out there and only a few actually do real business. How to Tell if the Marijuana Seed bank ships to my country? Check their website’s FAQ section. You can also contact them. Most seed banks offer discreet shipping worldwide while others don’t ship to some countries. Like, Nirvana Shop that does not ship to the USA. Buying your own marijuana seeds so that you can grow your own marijuana plants that will provide you with high-quality buds is a smarter decision than depending on your local suppliers. Cut the middleman, ditch the dealer, learn how to grow your own weed in the comforts of your home and have an unlimited marijuana supply that won’t leave you with an empty wallet. Our recommendations for the best seed banks should help you find the company to buy from.